Even from far away Wales cheer rossoblu, always in close contact with the fantastic world of our Tose. 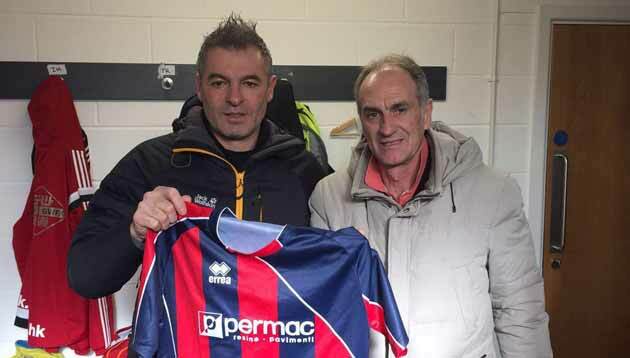 A vittoriese doc (Diego Bortoluzzi), a Treviso, ambassador in the world (Francesco Guidolin), and an Italian, already a darling of an entire city (Alberto Paloschi ... .with dad Vanni), founded the first European fans club of Tose, in that of Swansea (Wales). Diego, the flag bearer and pride of our beloved city, is keeping up the name of Vittorio Veneto also across the Channel, staying close, with unaltered affection and interest to our beloved rossoblu colors. Here is a small insight into the thought of Diego on this fantastic adventure, called the Premier League, but always with an eye for loving respect on the Women's Football Vittorio Veneto. 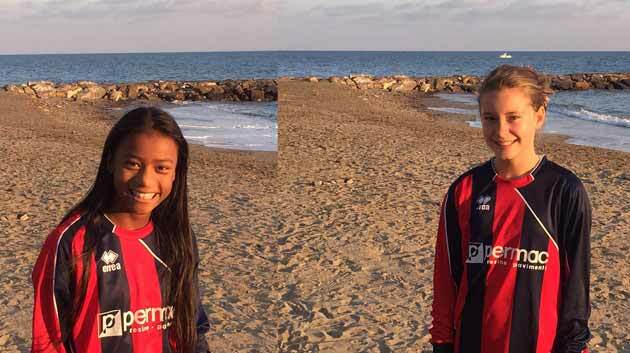 Here is the second episode of "Tifose rossoblu d'Italia", today two little girls from Liguria, more precisely from San Lorenzo al Mare (Imperia). Ludovica Razzoli 12 years and Sima Papone 11 years, athletes of ASD Gymnastics Riviera dei Fiori, their specialty is elastic trampoline and acrobatic artistic gymnastics. 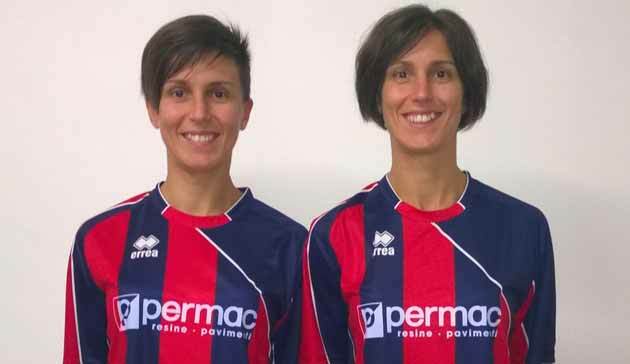 Their passion for sport, however, does not end here, in fact, from today they have colored their skin of rossoblu, wearing the personalized shirt of Permac Vittorio Veneto. Letizia and Maria Giovanna Areddia, are twins: Milanese by birth, Tuscan residence (Poppi, Arezzo) and now vittorioese cheering. Lovers of sport in general, have played for several years in Softball arriving in the top national series, now they decided to dress with the rossoblu shirts, our Tose, thus supporting girls and companies. How was your passion for women's soccer Vittorio Veneto born? Great curiosity and desire to know the team well described and told by its general manager. Last year you experienced the retreat at Pinarella di Cervia of the team, before the delicate transfer of Castelvecchio. Your impressions on the rossoblù group? More than a group, a great family united by the passion for football, strong determination, desire to play and win in the field.